Our many repeat clients are our greatest source of pride. 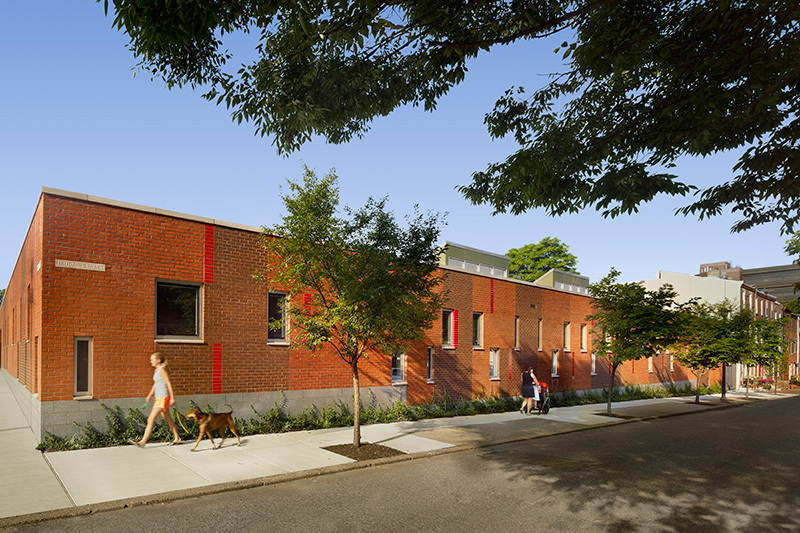 Becker & Frondorf is proud to have worked with The Philadelphia School over three phases: initial improvements to the entrance to their existing building, the construction of an Early Childhood Education Center, and the creation of a new Multi-Purpose Building. 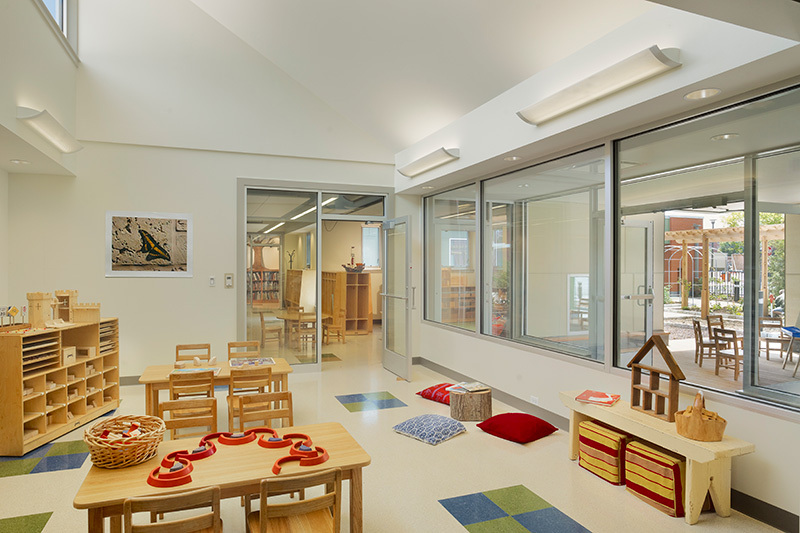 The Early Childhood Education Center is a LEED Silver building that houses classrooms for students ages three to six. 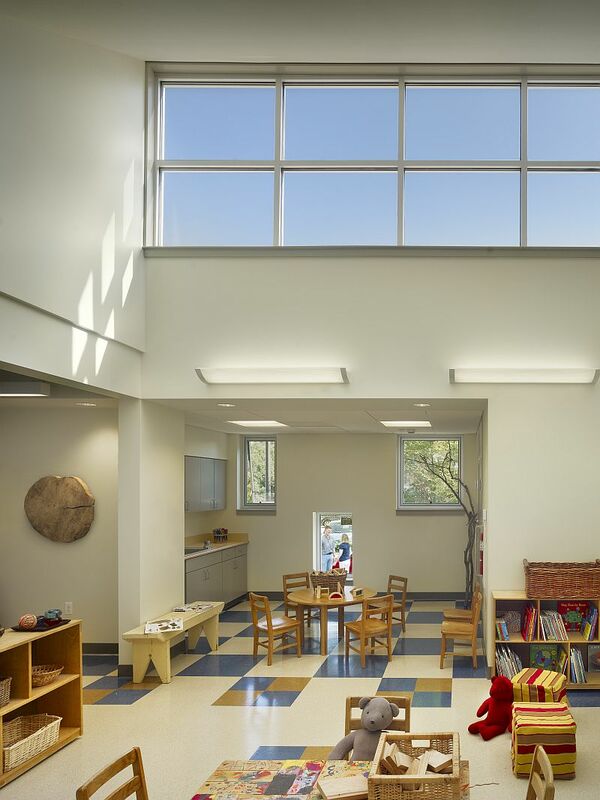 The facility includes an outdoor play area, teaching garden, and unique pedagogical area that reflects school’s progressive education mission. The Multi-Purpose building project, completed the following year, consisted of the renovation of a warehouse into a flexible space that can be used for theater productions, meetings and receptions, gross motor skills play, and other functions.